Effectively tracking metrics can be one of the most important things that you do for the success of your business. It enables you pinpoint what your business is doing well and where it can improve. Unfortunately, tracking employee and candidate information can be a hassle for any business, and the more you grow, the more complicated it can be to keep employee and candidate files organized and up to date. One of the most powerful tools in our arsenal is the tagging feature. The tagging feature in Xpress allows you to easily label and store data about a subject. Users can then use those tags to sort, track, and search important information associated with a subject, turning the usually difficult task of keeping track of vital information into a simple and efficient process. So how exactly does the tagging process work? Tags themselves are user-defined fields that are custom made for each carrier. Those tags then can be assigned to or associated with different subjects, and store specific information about that candidate or driver. There are always certain items that your business will need to track consistently, and Tenstreet’s tagging system provides a way to keep all of your identifiers and information in one easily viewed and searchable database. There are five different types of tags: Text, Text Area, Drop Downs, Dates, and Read Only, and each allow you to store a different type of information about a subject. The average Tenstreet client has around 12 tags configured, and some of the most commonly used tags are used to track data like date of hire or orientation for new employees, employee numbers, and various licenses and permitting. The ability to customize tags allows carriers to better define, track, and easily access the data that matter most for their business. Changing tags or adding additional tags is also a trivial process, so as your business changes, so can the tags that you use. The easy ability to change tags allows you to make sure that your metrics and tracking always reflect the reality of the constantly changing challenges your business faces, whether that means adding a new region in a drop-down list, or adding custom tags for a new hiring need. In fact, we consider it a best practice for carriers to regularly review tags over time to add new ones and eliminate old ones that are no longer useful, which will only add a lot of cruft in the UI. Most of our competitors charge for custom-defined fields, or only have marginal functionality available for them – for example allowing you to view them manually, but not search for them or use them in reports. We know that being able to customize how your tagging and tracking works for your company is vital to your business. There are a number of ways that tags and their associated information can be assigned to a subject. Tags can of course, be assigned to drivers and candidates manually by a user, but there are also several ways that tagging can actually be done automatically. Information contained within applications can be used to automatically assign tags and values you want to track to candidates, for example, a form within an application asking whether a driver is Hazmat endorsed or not can be configured to automatically use that information to assign a “Hazmat Endorsed” tag, and the relevant value (endorsed, or not endorsed). Processes can also be initiated to automatically assign certain tags every time an action is taken or a status change. For example, every time a candidate’s status changes from “recruiting” to “hired” a hire date and orientation date tag is automatically added. Tags can even be utilized via the forms engine. You can select tags you automatically want added to certain forms, or you can allow forms to assign tags and fill in values. The tagging system’s features make it very convenient. In addition to the tag search feature in Xpress allowing you to search and sort candidates and drivers via the tags associated (or not associated) with them, the Xpress tagging system also features a report wizard and goal tracking tools. The report wizard and goal tracking tools enable you to use your tags to run in-depth reports and monitor progress on achieving specific company objectives. 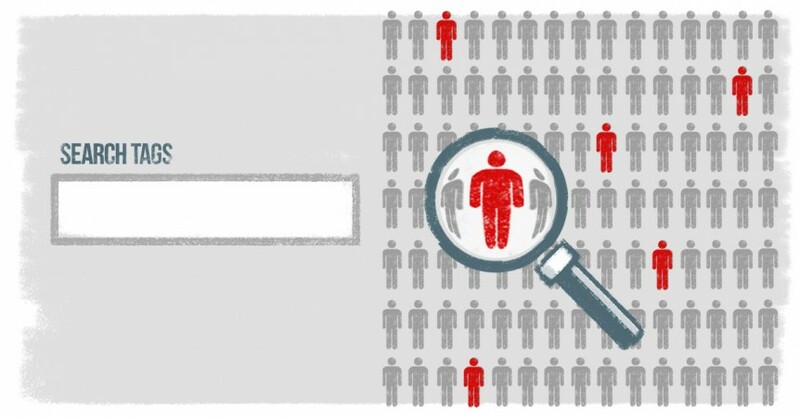 The reports feature, for example, can be used to look for employees and candidates missing a certain tag indicating a desired qualification and then to generate a report, allowing you to find out which people are missing that qualification. The goal tracking feature can help you make sure you’re achieving all of the goals you set for your business by keeping track of relevant tags to better help you determine if you’re meeting quantifiable benchmarks. Tagging can be extremely useful in simplifying the employment lifecycle. You can use tags to sort for eligible and qualified candidates and communicate with them in bulk, and use tags to target candidates and employees with specific, timely messages in drip marketing campaigns. Employees tagged with milestones, like one year of safe driving, might receive a congratulatory email or text, while your re-hiring campaigns automatically exclude those who have been tagged as ineligible for re-hire. You can even use tags to manage your employee retention campaign, by using the “hire date” tag to survey current employees at intervals of 30 days, 90 days, and six months. Tags can even be automatically assigned based on an event or occurrence, or based on data within an application. Information from a Greyhound ticket, for example, can be used to auto-populate and assign a tag, and then used to automatically notify a candidate about their travel information. Our tagging system takes all the information you need to efficiently run your business and puts it right at your fingertips. No more combing through files and forms to manually populate lists of qualified candidates or create mailing lists for your marketing campaigns. We help you design and customize all of your tags to fit your needs, making the day-to-day of your business easier to manage.